Within the past few weeks, Copper in China has being hitting its high. Chile is considered one of the biggest copper suppliers in the world, supplying China with about a third of the inventory. Due to the incoming supply of the metal, last week, China has hit its high in over the past five weeks. Generally, according to the London Metal Exchange (LME) the inventory of Copper has been decreasing. But in China, there are more imports and exports of the metal. They have been hoarding a supply of the metal and accounts for more than 60% of the total copper usage. Although, Chile is the lead supplier for copper, a number of their mines are starting to struggle. This is resulting in a bit of a shortage on the metal. Copper is a very important metal, especially to the Chinese economy. Almost half of China’s copper consumption will go towards infrastructure. More than 90% of copper is used for wiring; China is trying to replace their wires from aluminum to copper. It holds many characteristics that make it more useful compared to aluminum. Copper is able to be used in a more pure form compared to aluminum, which must be alloyed in order for it to be strong enough. It is also more resistant to aluminum, making it easier to manage and take care of. Although aluminum is much more abundant as well as cheaper, China is willing to make the switch with the beliefs of the copper benefiting them in the long run. 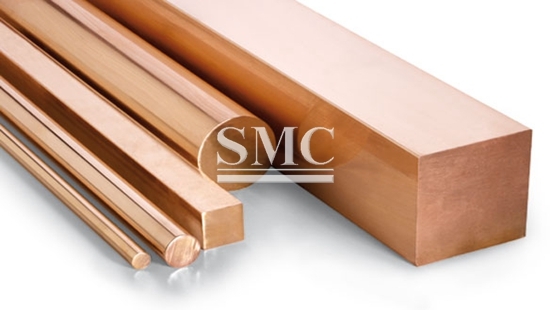 We highly depend on the use of copper and it is used in our everyday lives. We may not know it, but there are copper components in a majority of the appliances and resources we use regularly. It is a great electrical conductor and is used widely in electronics. Most of the technology we use will depend on copper such as the batteries in our phones, our tables, and our vehicles. It is also an excellent resource for sustainable energy such as solar panels and wind turbines. Its properties and durability make it a successful building material. A majority of sustainable LEED buildings use a good amount of copper and can help reduce carbon footprint. Because bacteria are incapable of growing on copper, it is widely used in the medical field. They are also used in piping systems, home décor, weaponry, jewelry and so much more. It is used in a diverse way, and there are still new discoveries being made every day.